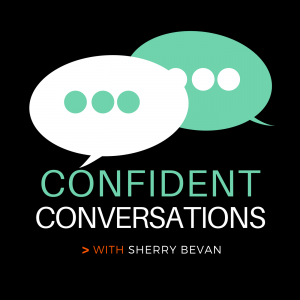 Confident Conversations is a weekly podcast show for ambitious women about confidently balancing work and life without burning out, hosted by me, Sherry Bevan, Author, Coach & Speaker. A former Global Head of IT Service for a City law firm and over two decades of leadership experience, I now work with ambitious women who want to get crystal clear in their thinking so that they have the confidence to take action. I love conversations about career, confidence, leadership and life with inspirational women and leading experts. Listen to weekly episodes here <<HERE>>. Or find me and subscribe on iTunes <<HERE>>. My listeners are ambitious women who want to confidently balance work and family life without burning out. They are women in the City who love their career and love their family. They are ready to make a bigger impact and lead in a bigger way. Women in technology and women in professional services who are or who want to be really confident about who they are, what they do and how they do it. To apply to be a guest on the show just drop me a line HERE outlining the topic you would like to explore. I welcome guests who have an interesting career story or who something to share which will help ambitious women confidently balance work and life. Each weekly episode is 20-25 minutes long.